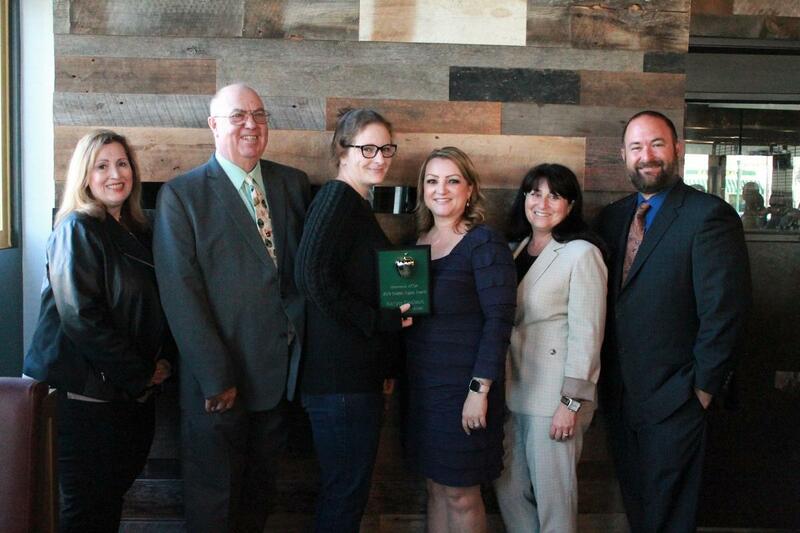 Karyn Godbold, a dedicated Clifton Middle School volunteer, was recognized for her hard work during Monrovia Unified School District’s Golden Apple Awards on March 25. Principal Jennifer Jackson recognized Godbold for serving Clifton in multiple capacities and for always going to staff with new ideas to better serve students. Additionally, Godbold is Clifton’s current PTSA president. 3-25-19_MUSD_Awards 7: Karyn Godbold from Clifton Middle School was honored with a Golden Apple Award during Monrovia Unified’s award ceremony on March 25.